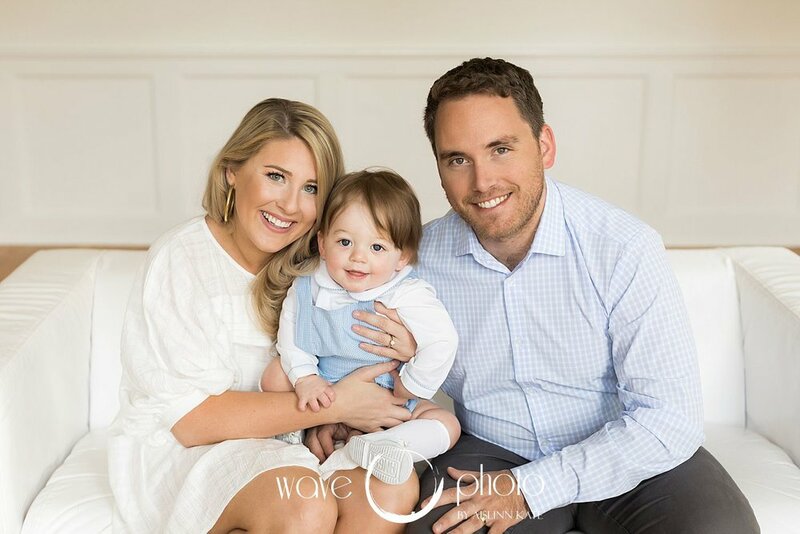 We photographed Genna and Michael's wedding in 2017 and were so thrilled to welcome them, and their adorable son Brooks to the Wave family! Giving our wedding clients the opportunity to come back year after year to document their families journeys is exactly WHY Wave exists, and we LOVED having this sweet family in the studio for Brooks' first birthday portraits! Cake smash sessions might just be my newest favorite studio shoot! !